How Active Are Your Fave Korean Celebs On Instagram? 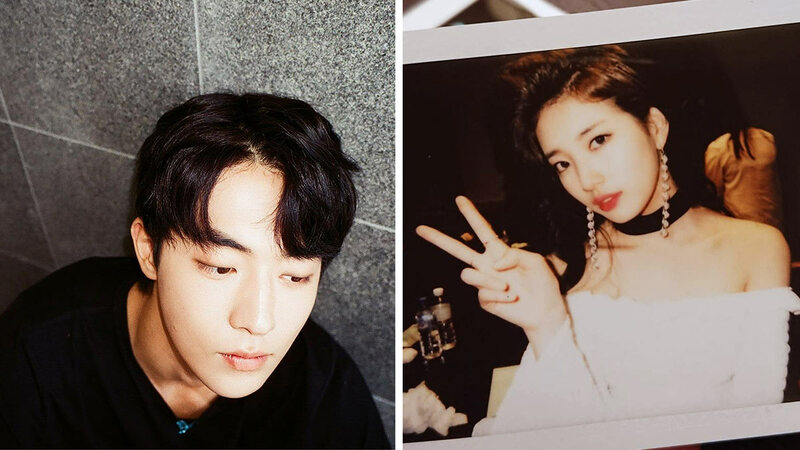 Admit it: At some point, you've stalked your fave K-drama stars on Instagram maybe out of boredom or pure curiosity. But if you haven't, you'll be surprised to see how ~*normal*~ they seem to be on their personal social media accounts. After more sleuthing, you'll realize that some of them are just like you or your friends—either they update their feed regularly or they'll keep you wondering what they're up to lately. So, are you following these Korean celebs yet? The While You Were Sleeping actor posts almost daily, and it's so easy to love him with how cheerful he is in sharing parts of his life online. He was dubbed the "selfie king" by fans, and with just one look at his grid, it's easy to see why. There are selfies while traveling, shooting or watching his drama, strolling in a park, roaming around a store, and many, many more. There are times when Jong Suk's leading lady in While You Were Sleeping also posts daily. Some days, Suzy even has up to five posts in 24 hours. You'll see a lot of BTS photos, magazine pictorials, Instax pictures, and gorgeous selfies. Unlike #NamLee and #SongSong, she doesn't have IG photos with her bae Lee Min Ho (who's inactive on IG since he's still serving in the military ATM). The Fight for My Way and Midnight Runners hottie posts once or twice a day when promoting an event, ad, or an editorial feature. He posts lots of OOTDs, selfies, and photos with coworkers or behind-the-scenes photos. There's also this cute dog whose owner is still a mystery to us. Song Joong Ki doesn't use Instagram or any social media channel, but his bride-to-be updates with around two to three posts every two to three weeks. She posts selfies, throwback photos, pictures of landscapes, editorial features, and lots of travel photos! She has not uploaded a photo with Joong Ki since they confirmed their relationship (keeping our fingers crossed that we see more of the pair in her feed after the wedding). The She Was Pretty star was naturally inactive on IG during his military service, but now that he's been discharged, his feed is updated almost daily (YAY!) You'll see a lot of his projects—not only teasers for his upcoming drama, Revolutionary Love, but also his collaborations with UNICEF. Even though she updates only once or twice a week, Lee Sung Kyung proves to be a KWEEN of gorgeous selfies. She also posts a lot of photos of cats and dogs, BTS stills, skies or landscapes, and sweet appreciation posts for fans and gifts she receives (like food or coffee trucks, flowers, cakes). P.S. She still hasn't deleted posts with Nam Joo Hyuk circa Weightlifting Fairy Kim Bok Joo as of this writing, which just gives our #NamLee hearts so much LYF. The Bride of the Water God heartthrob, on the other hand, posts once a week or once every two weeks. But he could update with up to three posts in one day. Some are drama stills or BTS photos, selfies, and pictures of dogs (a lot of them are pet lovers, we guess). P.S. He also hasn't deleted posts with Lee Sung Kyung circa WLFKBJ as of this writing—including this epic one captioned, "Forever." Strong Woman Do Bong Soon second lead Ji Soo—who's visiting the Philippines soon, BTW!—posts two to three selfies and OOTDs every week. He's usually all by himself in his posts, which fuels the running joke among K-drama fans that he's always the second lead and he never ends up with a partner HUHU. However, there are snaps with colleagues and friends, too. Who are the other Korean celebs you love following on Instagram?